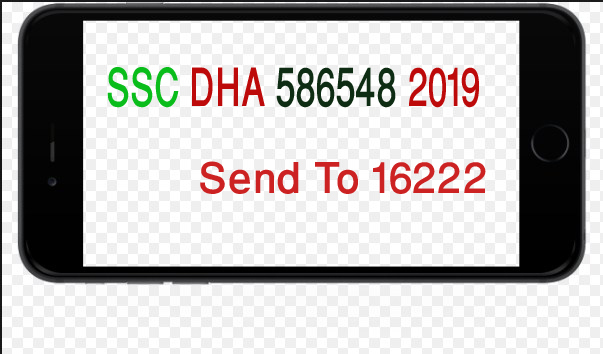 SSC Result 2019 Mobile SMS. Now the most popular method is online. But sometimes we see when was publish SSC result same time server were an error, As a result, Students can check his result form online. As a result, We showing how to check your result with out online. You can check all education board by the mobile message. For check Mobile Message your SSC Result 2019 you must be normal or high configure mobile. You can check both just you need to fress display. Because your result will be showing your mobile display. Dear Students lets go to this method how to check your SSC Result 2019 Mobile SMS. In order to check this 3rd largest public exam results via mobile SMS, there is a procedure here. Though a maximum number of people tries to check their SSC result in the online through the internet from the official websites, there would be many technical issues that will irritate the user to get the result. As there are lakhs and lakhs of students searching for the results on the official websites like educationboardresults.gov.bd and board wise results, the servers of those websites would get hang and sometimes would become unavailable for the students which make them disappoint and they can’t check their results immediately. Also, there are some people leaving in the remote areas of the country where there is no good internet facility available to check the result online. In order to help all those people, Teletalk is giving the opportunity for the candidates to check the SSC Result 2019 by SMS easily. Know about it from the below-given information. Teletalk is one of the government largest telecom operators of Bangladesh and it is the only telecom operator in the country. It has an education server through which it will give all the education-related information for the candidates along with the SSC Results 2019. The server can be accessed by the candidates through its 16222 reserved number. Students have to send an SMS to this number to get the education-related information like results and it will revert to you with the result in the same number or sometimes you will get the incoming message from 01550155555 and here in this post we have provided the procedure on how to check SSC Result 2019 by SMS from Teletalk as it is official and adapted by people all across the country for many years for checking the results. So, go through it. In order to get the result to the mobile via the Teletalk SMS system, the user needs to have the Teletalk SIM card in their mobile. Candidates having that SIM card which is the only one available in the country, they can send the SMS in the format given below to reserved number as said above 16222 only on the result day. With that, in just a few seconds, you will get the SSC result to your mobile directly with the complete mark sheet. But before sending the SMS, candidates need to ensure that they have sufficient balance in their mobile and this is because for every SMS you sent from your mobile, you will be charged with 2.44TK or even more. So, check your mobile balance before sending the message and follow the below procedures for getting the SSC results of the respective board. The candidate has to send the SMS in the correct format. Send the SMS after the announcement of results officially only. Only one Roll number will be valid for one SMS and if you give more than one roll number, the message becomes invalid and you won’t get the result. You will be charged with 2.22TK or more that includes VAT, SD and SC charges. Once you send the SMS correctly, you will get the incoming message with your JSC Result on your mobile. Send the above-drafted SMS to 16222. Send this SMS to 16222. In this way, contenders and their guardians can check their SSC result from education board result website their mobile or Smartphone easily. As result day is coming soon, get ready with your mobiles to check your result through your phone too. Hope, this will be very useful and you just need to follow it correctly to get the result on the publishing date. Keep watching for more updates on our site.